Looking forward to seeing everyone there! Bring a friend! 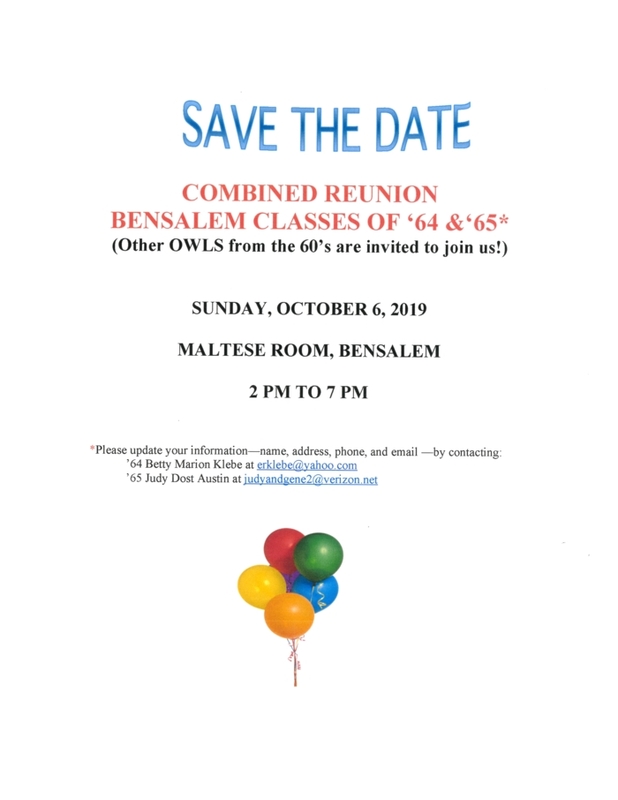 Sunday, Sept. 8, 2019, from 11:30 a.m. to 5:30 p.m. Stay as long as you like, but arrive by 12:30 pm. A Catered Brunch Valued at About $38/person. Costs to classmates: Couples - $25. Singles - $15. There will be a cash bar. Beer and wine for $2. Soft drinks for $1. 75 classmates are excited and have committed to come! Day 2 – Monday, September 9th will feature a FREE wine tasting from 2:30 to 6:00 PM with 6 or 7 hand selected wines paired with cheese, specialty crackers, pretzels and chocolate. And, an optional tour of the Rosebank wine making area with an explanation of how the wine is made and bottled. Day 2 will also include the following optional activities for the am and/or early afternoon. All are free or less than $15, except the golf outing ($35/player). Check google on the internet for Websites. 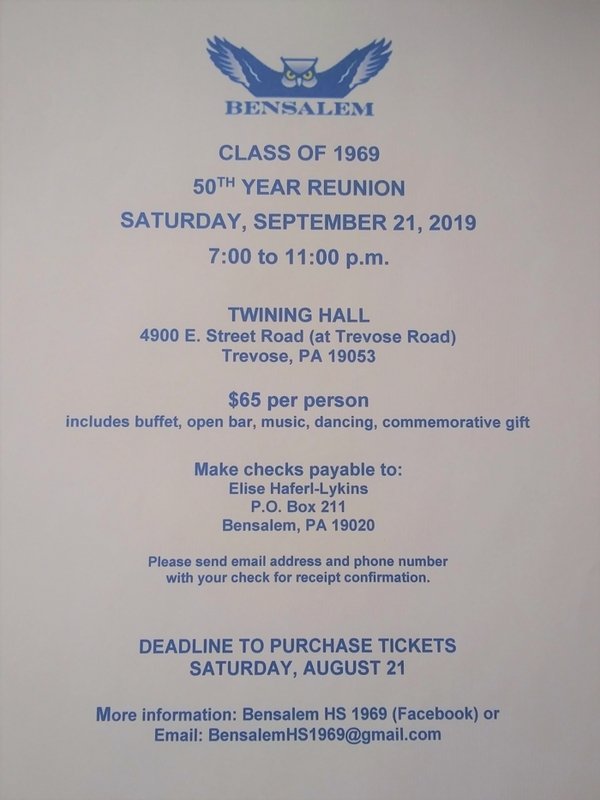 During the reunion brunch on Sunday there will be: 3 contests and 12 awards with prizes; top 30 hits each year from 1954 to 1964 for dancing/listening; and time for yearbook signing. There will be brochures and information available at the Sunday brunch for the optional day 2 activities. You can organize a group of old friends for an outing on Monday before the wine tasting. Please bring family photos or class memorabilia to share and display at the brunch. There will be display tables set up around the perimeter of the hall. If you want to participate in the golf outing, Please let Joe Potts (760-224-3448 – email: Jfpotts@pottsfamily.us) know by June 30thby phone, text or email. We will be sending out another update in June to the collect fees. Any Questions? Please contact any of the committee members ( see last announcement).